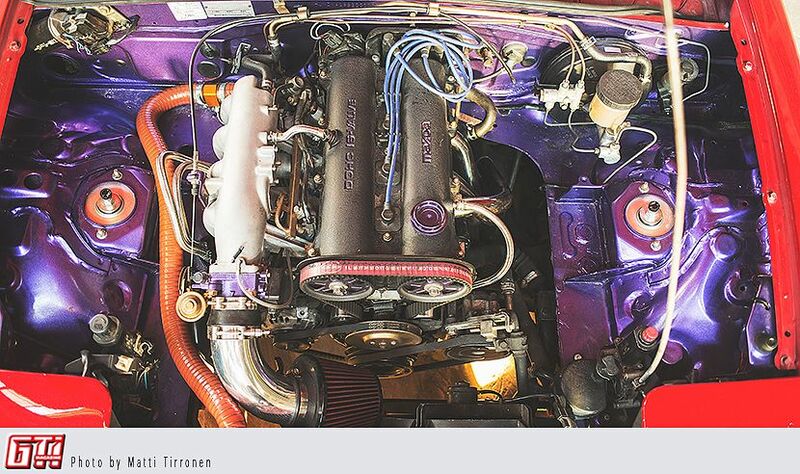 Like many car enthusiasts, Miska was born in the middle of engines. Figuratively, of course (I think). He started to mess around with fast things at the age of five, when his father planted him on a motocross bike. The boy grew into a man, and the bikes were swapped to cars. He wanted a car that he could modify to his liking, and bought a Volvo 240. It was in too good shape to be modded, however, and it didn't represent what he wanted from a car. Miska never really liked convertibles, but his friend happened to own a Miata, and of course Miska got a chance to drive it. When his friend then decided to sell this particular car, the decision was practically obvious. The car had been altered a little by the previous owner with some ”racing modifications”, but they were done more or less half-assedly. The price was right though, and it was a perfect specimen for refinement. The paint job was pretty hopeless, so Miska and his friend Miika did some patch painting and heavy polishing. This made the paint look decent with a low budget, since a full paint job would have cost too much at the time. 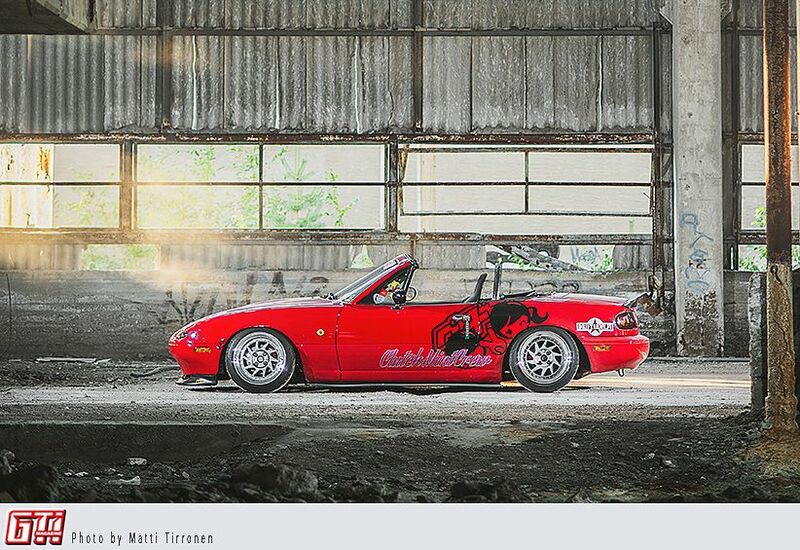 The Miata had lowering springs installed when Miska bought it, but they had to make way for TA-Technics coilovers. At the same time all the bushings were changed to polyurethane bushings, so that the suspension would be stiff enough. One of the main principles on this project was that the car should be ”unpractically low”. TA-Technics dropped the car low enough, but it was horrendous to drive. During the winter of 2013-2014 Miska changed the coilovers to BC Racing coils, and this made a huge difference to driving pleasure and to the number of spinal injuries. Wheel arches were rolled a bit and OZ Turbo alloys (ET0) were installed, and now the car could achieve the height where unpracticality meets aesthetics. The wheel specs are pretty radical for a car of this size, but Miska managed to finish this job flawlessly. 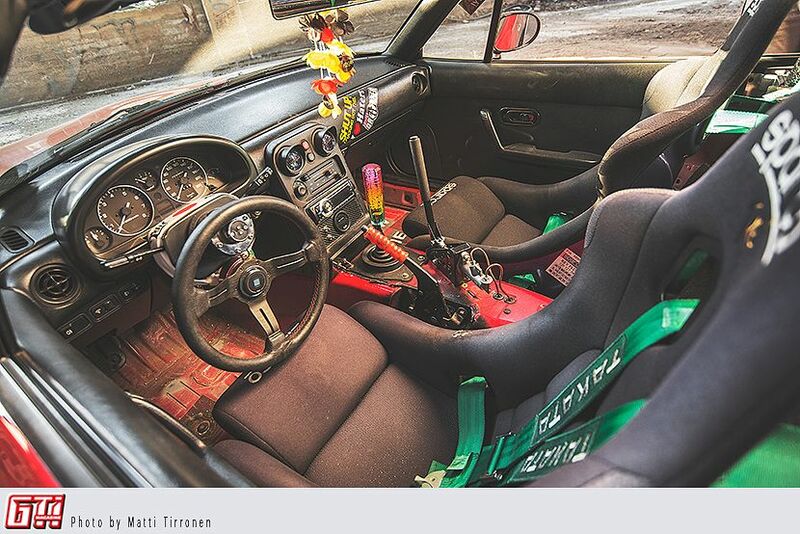 The interior was modified to be sporty, not comfortable. The harness bar had to make way for a roll bar decorated with glitter. 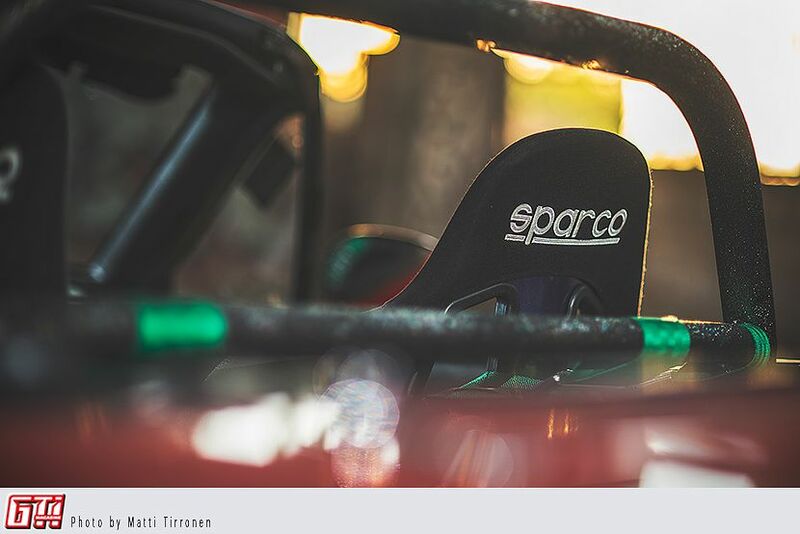 The legendary Takata four-point seat belts are attached to this roll bar, and Sparco REV seats keep the driver on his place even on bumpier roads. At this ride height almost every road is bumpy, though. 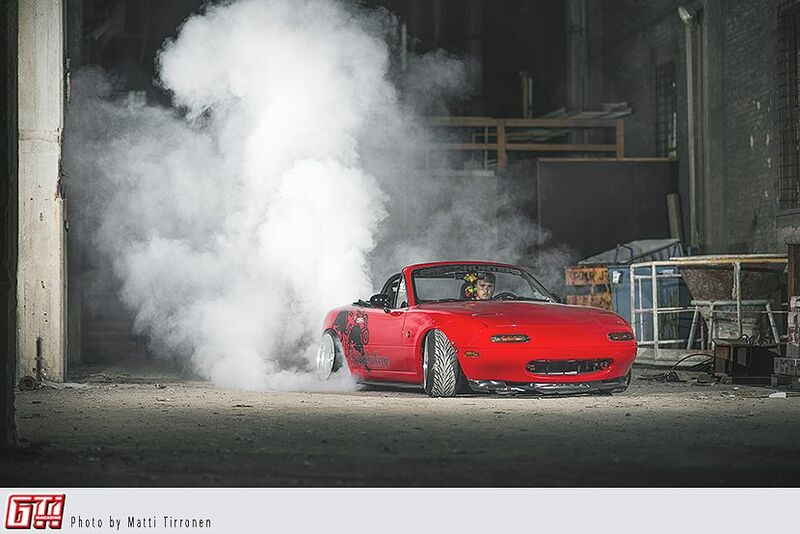 This MX-5 is equipped with a MazdaSpeed engine that has a ported cylinder head, tighter cams and a higher compression ratio. Along with a stainless steel header and a new engine management software this thing has a pretty sweet power-to-weight ratio. The engine was swapped in the winter of 2014-2015, when Miska noticed that every piston seal was broken, and all of the oil poured into the engine came out of the exhaust. The MazdaSpeed engine was offered to him at a price that could not be refused, but the ECU was swapped to MegaSquirt in order to remove the MAF and other useless sensors. This also helped in cleaning out the engine bay. All the electric wires are hidden and the engine bay was painted during the engine swap, and the end result is very neat. Most of the original interior has been scrapped, since the theme is not focused on comfort but performance. After all these modifications this little car looks like the one you really would want to take a ride on a sunny day at a track, or just to take a spin to the nearest roundabout. 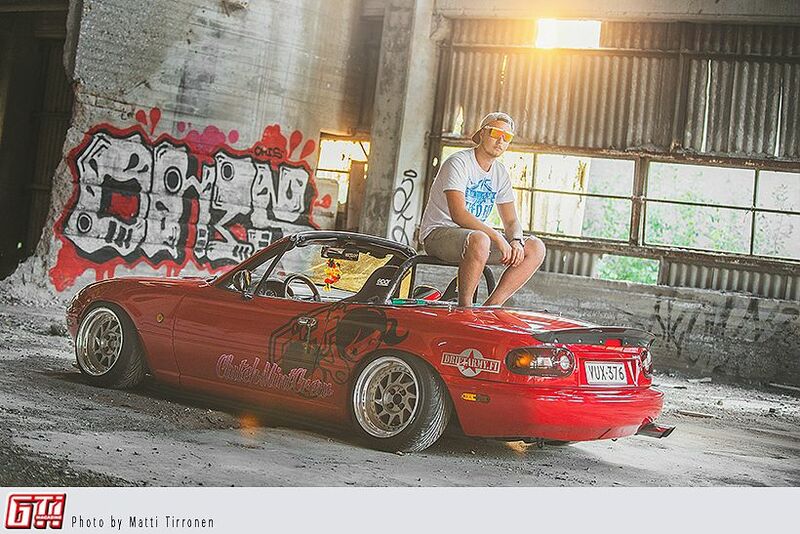 The future of this car is a little uncertain, especially as Miska has bought a Nissan 200SX to accompany it. However, after some interrogation Miska admitted that he has been thinkin about a possible supercharger implant. 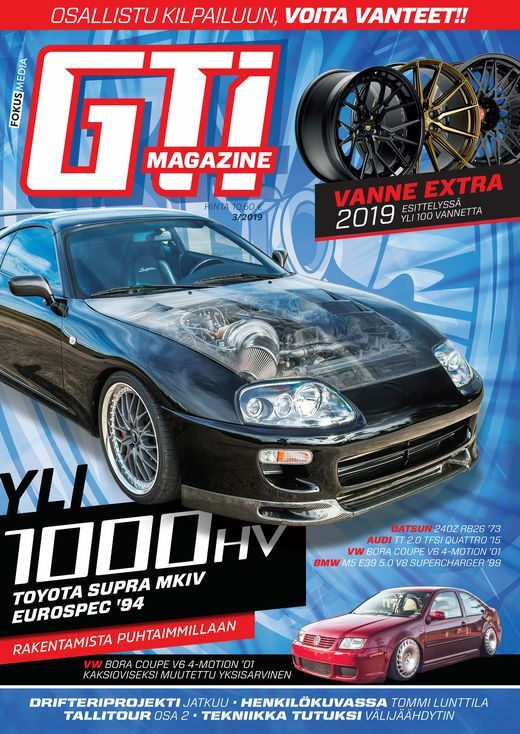 Since this project has been executed so superbly this far, it would be nice to see what this man can do with forced induction. Something unpractical but awesome, one would presume.